This specific character is based on Iron Maiden. 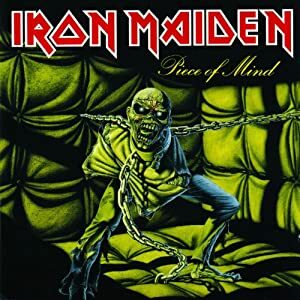 Iron Maiden peaked during the entire 1980s as a heavy metal band. It has signature visuals and references, and wrote many classic in the genre. Such tunes are notes for their sheer power and oft-sophisticated compositions. The Trooper was on their fourth album, released in 1983. This song was about the battle of Balaclava, in 1854. This profile is part of our “Rockworld” character writeups arc, adapting characters in songs – or named after songs. You can check the rest out by using the “Rockworld” link in the breadcrumb navigation above (you *did* notice the breadcrumb navigation, right ?). Group Affiliation: Melomen, Polish army. Height: 6’1” Weight: 195lbs. Age:238. Since the 1795 partition of Poland, this anonymous trooper has received a last chance to become a ghost whenever he is fatally wounded. Then, he wanders the warzone until he finds a suitable body and possess it: in short, the factions of the taken one will start resembling the original trooper ones. The Trooper is an unnamed Polish man. 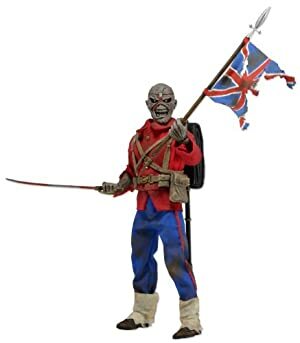 He has been escaping death and possessing bodies (usually those of other soldiers, as he tends to take their bodies on the same battlefield he falls) since the late XVIIIth century. For unknown reasons, The Trooper’s last breath lets his spirit leave his body and wander in search of another suitable one. He has since battled many wars, including both World Wars, the Spanish Civil War and Việt Nam. He used to restrain his movements to Europe, and was particularly active during the Cold War and the Balkans War. In the last decades of the XXth century he learned that some musicians had been gifted with the power of prophecy. He also discovered that in some singers the power was to see the past, not the future. This had been the case with him and Iron Maiden’s The Trooper. It was not a case of epiphanically recognizing the song as related to his life, or some words spoken by him, like it would be for Blaze of Glory. In The Trooper’s case the description of the final assault against the Russian army in 1795 was so exact that he had to talk to the band. 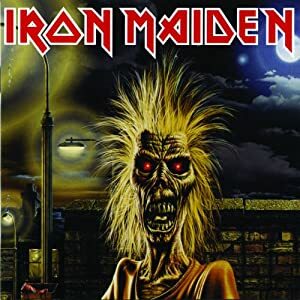 He had to wait until the first visit of Iron Maiden to Torwar in 1984: he awaited Steve Harris at the end of the concert, showed him his face, dressed in his original Polish clothes, and asked him: “They say you were thinking in Balaclava’s battle in 1854 when you wrote The Trooper”. The lyrics writer gasped when he saw the Polish and with a whisper answeres: “the odor was intense and the dust was dense and yet I’m sure you were Polish and not English, and it was not Crimea but Poland what you were defending, Eddie”. The trooper left in silence. He had been viewed from the past, and gifted. There would be others, as lost as he had been in the few days after his first “death”. He would find them, he would take care of them and would train them. But it was another song-themed heroine, Imagine, who first found him: he had a dream, and The Trooper was in it. They shared that dream of a force of good born on songs and made in Earth: “and the world will live as one”, said Imagine. It all sounded naive to The Trooper, but he was ok with trying. After all, his whole life had been a try-out after another to get something good come from all that blood. The Trooper keeps the visage he had before the final blows that finished his first body. That means burnt out skin, broken nose, blood-spilled chin. He can make those appear over any person he possesses. His present host is a Spanish UN soldier he took over at Sarajevo after he fall under Croatian fire. Everybody think the soldier is dead, so even when not possessed he has chosen to remain in the Melomen’s force. In a warzone, The Trooper usually chooses a fallen, badly hurt but not yet dead comrade as his new body, thus giving him a second chance to survive. He “wears” the body for some time until he considers his task due, then hurts it under controlled conditions and leaves for another body. If no suitable comrade is at hand he will unscrupulously take an enemy’s body and possess him until his final blow. He doesn’t like to use a comrade’s body for more time that he needs it, but believes that, as soldiers, everybody is disposable for some time until they are returned to “civilian” life. Chameleon: Only to get a resemblance of his own original visage (-2). Personality Transfer: Range of touch of his Spirit Travel form (-1) ; can’t transfer to a female host (-1). Spirit Travel: can only be used when Mind over matter kicks in (-1). Area Knowledge [European Battlefields], Credentials: Military (Low), Iron Nerves, Leadership, Schticks [Ammunitions Freedom (Weaponry (Firearms)), Weapon Stash], Scholar [XXth century song lyrics]. Dark Secret [Possessing spirit since 1795], Guilt, SIA (Possessing the one who killed him), SPI (Ghost plagued), Attack Vulnerability (Magic, -2 CS). 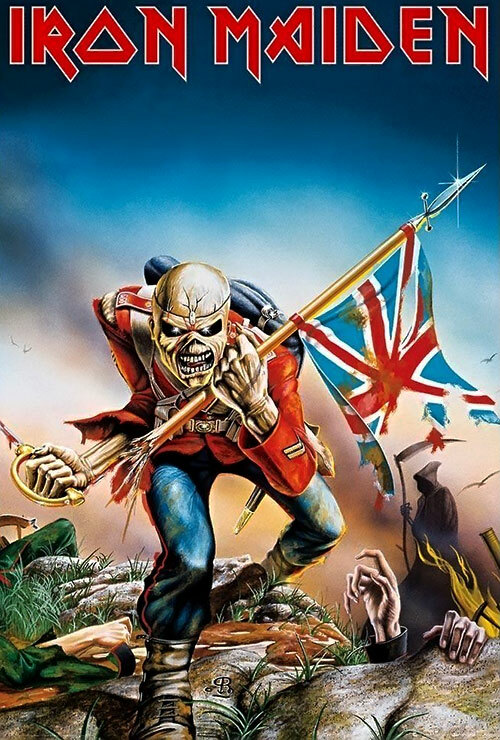 Source of Character: Iron Maiden’s The Trooper and their statue of Eddie as The Trooper.